Win the games. Win Your freedom. 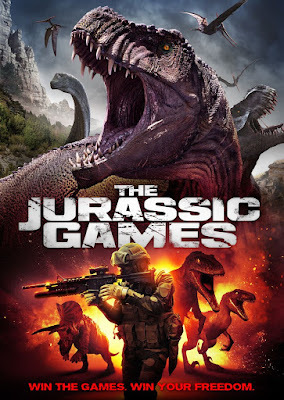 The dinomite mash-up of the summer, The Jurassic Games stops onto VOD this June from High Octane Pictures, Boiling Point Media and Uncork'd Entertainment. 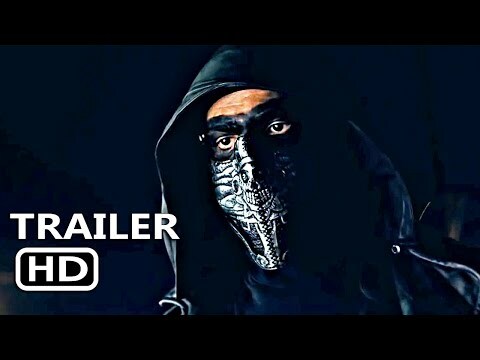 Starring Ryan Merriman (Final Destination 3) and Perrey Reeves (''Entourage''), the film imagines a world set in the near future wherein ten Death Row convicts are chosen to compete in "The Jurassic Games," the ultimate virtual reality game show that pits its players against dinosaurs and each other. However, there is a catch… If you die in the virtual game, you also die in reality; and for Anthony Tucker (Adam Hampton), survival is his one chance to be reunited with his children after having been wrongfully imprisoned for the murder of his wife. As the devious The Host continues adding improbable challenges, the characters will find the odds stacked against them as only one victor can emerge as winner and reclaim their freedom. "The Jurassic Games" is the third film from Emmy Award-winning director Ryan Bellgardt (Gremlin, Army of Frankensteins). A High Octane Pictures production. "The Jurassic Games" will be available on Digital June 12 and DVD July 3 from Uncork'd Entertainment. Every year, 10 of the world’s most lethal death row criminals are chosen to compete for their freedom in "The Jurassic Games," a television show where contestants must survive against a variety of ferocious dinosaurs. The players all die gruesomely in the game zone except for one, the last one standing, the winner, who is granted not only his freedom, but fame and fortune. Survive the dinosaurs. Survive each other. Survive…"The Jurassic Games."